American Professional Wrestler and MMA Fighter. Brock himself stated his height in a 2008 NY Times article as "I'm 6-3 and 277 pounds" but when (briefly) at Minnesota Vikings Football team he was given a 6ft 2 listing. Actually he now gives his height as 6'4" since moving to the US. The 190 claim was on dutch tv and he never was a guy who cared about height more about weight. 115-116 kilo at his best not the 120 on UFC records. The Ufc now has him at 6'5" lol. He was asked about the fight with Lesnar and he said that he was an imposing figure but that he wasn't very impressed by that :) So Lesnar is a big guy. I'm not sure if he has lost any height or not. The full 6'2" at peak wouldn't surprise me. Do you think it’s a possibility he is that tall? Of course there is a chance of it, but I cannot see 6ft 3 as being possible. Can't believe people are arguing 6'1 for this guy. Here he is next to my countryman 190 cm measured Alistair Overeem. UFC gives him 6'4 but on dutch tv he claimed 190. Lesnar is one of those very few guys in Pro-Wresting Verse that can hold his height through out many years no matter how heavy he's been lifting, how hard he's been working and training. He still managed to hold the 6'1.6/6'1.75 187 cm of his every bit intact. @James Brett 172cm : Brock lesnar looks like someone who naturally never weighs below 100kg (225 pounds) even if he does hit the gym or take roids for one year. Nah, Lesnar's definitely taller than Rollins. He has around an inch on him. What do you guys think Brock Lesnar would naturally weigh if he didn’t take steroids but still lifted weights? I don’t hit 6’1” or 6’0 7/8 until the evening. I’m basically downgrading myself all day by saying I’m 6’1” during the day. I’d categorize 6’1” as someone who’s 6’1 1/4 in the morning and drops to 6’0.75” in the evening. Especially considering most people who say their legit 6’1” usually only hit 6’1” flat in the morning. 188.5 peak and 187 today, back in early 2000s he looked similar to goldberg who was 189. If they're purposefully upgrading celebs by several inches, then many of them might be trolls, but most who tend to "upgrade" by like a fraction of an inch, aren't. Same goes for "downgrading". We all should be careful when to call someone a "troll", since that word is often very misused. That pic of Lesnar with The Rock was when The Rock was raising up his chin as much as possible, Rock has always been only half an inch taller than Lesnar nothing more. Lesnar is 6'2' and Rock 6'2'5..
Last night at WM 35 he looked 6'2" range. He looks 4-5 inches taller than Paul Heyman, who I believe is about 5'9" or 5'10"
Example: my morning barefoot height is always either 5’11-1/4” or 5’11-1/8”...depending on whether or not I got a full night’s sleep vs a short poor night’s sleep. And my late evening height is always either 5’10-7/8” or 5’10-3/4...depending on whether or not it’s a long hard work day or a heavy leg day @ the gym. And I always give my barefoot height @ 5’11”. I’m 43 years old now, and have had these exact same height measurements since age 17. Though, I have noticed since entering my 40’s...I know longer hold my peak morning height as long as I used to. I used to hold 5’11-1/4” to 5’11-1/8” from 7am all the way up to around 3pm-4pm...and I wouldn’t actually dip below 5’11” typically until after 7pm-8pm, and then I’d bottom out at 5’10-7/8 to 5’10-3/4” around 10pm-11pm. Now, in my 40’s...I’m now dipping under 5’11” & hitting 5’10-7/8” by 1pm-2pm...and I’m typically bottoming out @ 5’10-3/4” now around 5pm-6pm. @Space: at that stage, a solid 6’1” around lunch which would be his average. I've called others trolls for what I have perceived as "upgrading", especially If it's more than what Rob had them at. Space, I think 6ft1 on the nose is your legit height if those are your morning and evening figures. You're averaging out your morning and evening heights, but by CH standards, we don't do that. By CH standards, you'd be considered 6'0 7/8" or maybe 6'1" at the most, but not 6'1.25"
Someone thinks lesnar is a hair under 6'1 evening but now? Lol lol. Viper's certainly not a troll, although there are some estimates he made where I strongly disagree. But believe it or not, a few of his estimates were even higher than mine. I forgot which celebs though. And I wish posters here would quit using the terms "downgrader" and "troll" so loosely. I've seen terms like those being used more frequently than "upgrader" and "fanboy". If my morning height is 6’1 1/2 and my evening height is 6’0 7/8 what would you say your height is if someone asked? 6’1.25”? I think Lesnar is this height range right now, with the wear and tear on his body. I am noticing he was slightly taller in the early 2000s, probably a solid 6’2” back then. I think he’s my height now. My opinion would be 6'1 5/8" at the lowest for Lesnar, but I guess 6'1.5" isn't impossible since it's only 1/8" of a difference and that's not detectable to the eye. @Space That's great! Although, there's still many folks who really believe he is a FULL 6'2. He always looked just 187 cm flat, whether it's 20 years ago or now. If Lesnar's 6'1", then that means he's not 6'1.5". It's either one or the other, unless if you're basing the 6'1.5" on a morning height. 6'1.5" seems a bit low for Lesnar IMO, but I wouldn't rule it out. There are quite a few athletes that measured 3/4" taller than their lows, you're right. If he’s 6’2.25 early morning how is 6’1.5 out of the question? Your absolutely right lesnar is a solid 6’1.5” today. He may reach 6’1 7/8” in the morning and dip to a legit 6’1” by the evening. Brock Lesnar is a solid 6'2' guy..nothing less or more, he could be 6'2'25 early morning, no way is Lesnar as low as 6'1'5 or even less than that.. There wasn’t any prove to begin with that he was measured 6’2.25. It was just a made up story for ordinary people who know nothing about REAL “Height”, otherwise, I’d have find it on the internet already. Let’s end this once and for all. He was always and still a 187 cm tall. The middle mark between 6’1.5 and 6’1.75. That’s it. Why is it so hard, guys?! I knew his height right away once I looked at him with someone like Orton, Batista, Rock and Taker. At that moment the rock looks nearly 6ft 4! Assuming his 6’2.25 measurement is accurate he would not be 6’3. Only question is how tall would he be in the afternoon since the measurements all take place in the morning? We don't know If that was in shoes. There were old articles online of him being described to be measured at 6'2 1/4", but those articles don't exist anymore unfortunately. I wish someone had archived them. What @Viper claims is wrong as much as what @rawdshaq's claim is.. Brock is not 6'1' and neither is he 6'3' he is 6'2'1/4 nothing more or less..
Nobody can come up with any proof he was measured. Random dude, you have no proof he was measured by the Minnesota Vikings. I've never heard of any NFL teams measuring players. We can't find data online of his measurement, but he did measured 6'2 1/4" nevertheless. He's not 6'3". @Rawdshaq: the NFL (along with Rob) wouldn’t list him at 6’2 if he’s really 6’3”. Yeah there is no evidence he was measured at 6'2 1/4" so 6'3" is still possible for him. A good 6'1 3/4, about same height if not a hair under Roman Reigns. About 10/11cm shorter than Undertaker. I thought we all agreed that Lesnar was 6’2” max today? I’m trying to convince people that he and reigns are not 6’2+ guys because it’s blatantly obvious. He was never measured at 6-2 because nobody can show any evidence of it. I used to often claim 6'6" a long time ago, especially before posting on CH, but even then I occasionally switched to 6'5.5". But these days it's exclusively 6'5.5"
6'1.75" in the morning would mean he'd be around 6'1" at evening. I don't see him being that low at all. Nowadays, he would be around 6'2 when he wakes up, down to 6'1.5 at 12:00-17:00 PM and 6'1.25 before go to sleep. Average human beings can get up to 1 inch taller when they wake up especially if they've been sleeping for over 8 hours. Lesnar is 6'2'3/4 in the morning and probably dips down to a flat 6'2' in the evening.. I really don’t think Lesnar is 6’2.5” at any point in the day, especially at age 42 or whatever he is now. Also take in consideration the nfl measured him at 6’2.25” back in his prime, as did k1 measured him at 6’2” max back then. 6’1.75” in the morning for Lesnar today. @Christian, what do you usually claim these days? Didn’t you used to claim 6’6 in the past? That’s not an unbelievable claim tbh since you do clear it by 1/8 inch in the morning. Most peolple? the average on 427 votes is over 6 ft 2.25 !! 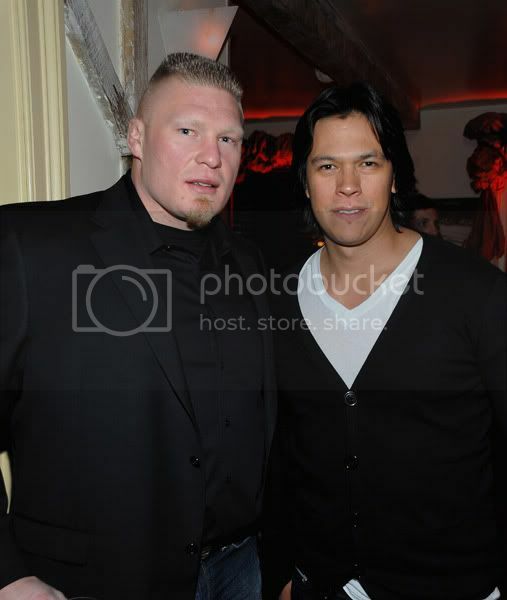 I think Brock Lesnar is 6'2" 3/4 in the morning, and in the evening he is spot on 6'2". IMO good listing Rob. 6'5 3/8" is my evening height, not morning. That would be 6'6 1/8". But yes, people have guessed me at 6'7" plenty of times. His 6’2” 262 listing was on point for his mma debut there in 2007 with 6’1” Min so kim. Yes everyone goes back and forth on who’s taller between Roman and Brock. Roman and Brock are pretty much the same height probably both 6’1.75”-6’1.5” for a morning measurement today. A lot of the wwe roster is under 6’2” believe it or not. People will ask me in person if I’m 6’3”, when in reality I’m 6’1.5” flat during a morning measurement. I’m basically the same height as Roman and Brock who are considered 6’3” by most people’s judgement. I’m sure people would assume @christian 6’5” 3/8” is 6’7” even though he’s only 6’5 3/8” for a morning measurement. Brock Lesnar is 6'2' and so is Roman Reigns..sometimes Lesnar has looked taller and sometimes Reigns edged a bit.. I'd say both are equal.. only Dwayne would be 1/4 taller than both of em..
@maa I'm actually a little bit under 5'9" im like 5'8 1/2" or 5'8 3/4". Brock Lesnar is taller than Roman who was measured at the same height so who knows if they are even accurate. @Randomdude0000: they’re actually done early morning. It’s been that way for quite some time too. Remember last week we knew Kyler Murray’s measurement around 9am and they were just coming in that day. But you’re absolutely right that they aren’t lows for the players. Usually around an hour (at most) out of bed. he didn't get measured at night NFL combine or team workouts are done during the morning to late afternoon. and now you are going back on what you said,you acknowledged in a previous post of yours that he probably drops to 6'1 3/4 at night now you are saying he is a full inch taller at night,make up your mind? Also when he returned he did not look 3 inches taller he looked at most 1.5 inches taller,please provide a picture or video where he looks 3 inches taller. Lesnar is 6'2' nothing more, I don't know why people are arguing over this here. He looks almost 2 inches over Cena, an inch over Rollins and the same as Reigns and maybe a hair shorter than Rock..
How can you acknowledge that he was measured 6'2 1/4", and that it was a morning measurement at that, and then later say that he's 6'2.5" and 6'2 3/4"? You're making zero sense. I've just about ran out of patience with him. He's a lost cause at this point. When he returned in 2012 he looked 3 inches taller. He's 6'2 3/4" exactly for sure but got measured at night maybe I don't know but I think he's 6'2 and a half. You're exactly right. It's just always best to be honest, no matter what it is or what situation you're in. When has Lesnar ever looked 3 inches taller than Cena? It always looks around 1.5" between the two. Wow, rounding up with elevator boots on, probably even morning, you must feel so sincere and proud of yorself when you claim that height. Also yeah you guys are right, we are trying to guess his exact height here so my reasoning really doesn't make any sense. Well somebody here said that claiming 5'10" and being an inch away from it was "disgusting" or something like that, lol. I'm pretty much 5'9" and already said I should start claiming 5'9" but lots of people add inches to their height. I know I'm not 5'10", does the Rock who claims 6'5" acknowledge that he is (insert your height for the Rock here)? No, but he's still a legend. @Christian 6'5 3/8" A lot of people will lie about certain things either to make themselves feel better or come across as superior to others. That could include lying about their height or their job and how much money they make just to name a couple. I find it funny because at the end of the day everybody is different and nobody is perfect so lying makes no difference, aside from showing they really are insecure about themselves and damaging their credibility. Accepting these things takes more character I would say and can tell you a lot about someone. @Rawdshaq: obviously the former. But you’re getting worked up over this when in reality it was said to you because we are on a height related site. Therefore accuracy is what we strive for. But to Christian’s point before when we are trying to determine Lesnar’s height he isn’t 6’3” if he measured 6’2.25 and likely earlier in the day which is what the response was to. You’re now coming up with other things to take the attention off of what you said about adding an inch to your height. Like everyone said, whatever floats your boat but fact is you did say it. Since you did, I would just acknowledge it (which you already did) and move on. You're taking this way too seriously. None of us are even saying that you're not allowed to claim 5'10". All we're saying that it's inaccurate and dishonest. If you wanna keep on claiming 5'10" then by all means do as you please. The 6'6" claim was only a round up from 6'5.5" for me too. Ever since I stopped growing, I always knew that I was more 6'5.5" range than 6'6". Wow, rounding up with boots on, probably even morning, that must feel so sincere. You guys are right. Claiming 5'10" isn't honest, but claiming 5'8 3/4" sounds weird. It's better to claim 5'9". I think Brock Lesnar is actually 6'2 3/4" when he wakes up and got measured at 6'2 1/4" in the evening, which is fine for claiming 6'3' in my opinion. He always looks 3 inches taller than 6 feet John Cena, about an inch taller than Roman Reigns, 4 inches shorter than 6'7" Undertaker, but on the other hand he only looked an inch taller than legit 6'1" Seth Rollins, so 6'2 1/2" is a safe bet for him. According to him, he wants to "keep up" with other height liars. He even says that he's not afraid to lie about his height. He compares lying about height to women downplaying their weight or age, or people exaggerating their income and salary. I have an another acquaintance, my 5'11.5" friend who claims 6'1", and his reason is because he feels that 6'0"+ "sounds cooler" and also he wishes he was 6'1" because that's what he believes is the ideal for a guy. I told him that I consider 6'3" as ideal but I don't claim 6'3" do I? I really don't get asked my height much anyway... it doesn't really matter. I just find it weird to talk about height in public. The only time I like talking about it is on this forum and that's about it. I am 5'9 1/2" in my boots so claiming 5'10" isn't even that bad. There is no reason to ask a fat somewhat short dude for his height in public, it makes no sense. I have been asked how tall I am by my friends, and I did say 5'10". Nobody even questioned it. Would it make a difference if I said 5'9"? No. It wouldn't. As a matter of fact, I did claim 6'6" a long time ago, especially before joining this site. And the only one who called out my claim was my 6'2.5" friend. I used to switch between 6'5.5" and 6'6" claims but now I only stick with 6'5.5"
Right. "Some" people lying about their height shouldn't be used as an excuse to lie yourself. My coworker (6'3" but claims 6'5") is guilty of this. So is my 5'11.5" friend who likes to claim 6'1". But like Rawdshaq, at least they admit that they aren't as tall as they claim they are. Btw, my coworker toned it down by now claiming 6'4", which is a good start. I don't wanna sound like I'm taking credit, but I think I've talked him out of claiming 6'5". He still doesn't wanna claim 6'3" though. You don't have to defend him, It's a lie, and very easy to spot. If someone like Christian claims 6 ft 6 only very few people can spot, but an average man that adds 1.25 in is very easy to detect. That's why I was sarcastic and said instead to lie bad, lie big and claim 6 ft. People are generally insecure about their height and that's basically why an honest claim should be much more appreciated today. Why add an inch? Does that makes you taller in life? No, it is like a mental game, to swindle other people in order to makes you much more appreciated. But you will be the same short guy under the stadiometer even if you add 3 inches to your height. For me it's ok if you claim your morning/ mid day height (1 cm over your lowest) but a 174 cm guy like @rawdshaq that claims 178 cm is absolutely filthy. If we were in the same group of friends and a 174 cm guy claims 178 cm I would probably said:"You are 178 cm only in platforms, you little midget"
@Maa: to his defense “some” guys lie as well so some men and women wouldn’t tell he’s sub 5’9” at a low claiming 5’10”. But it’s a lie because he knows his height and claims that deliberately. I don’t look at what the other liars do either. I look at what the honest person would do. I don’t see the personal gain lying about your height though. Doesn’t change who you are. And speaking of Rawdshaq, he is one of those bashing Sotiris on Taker’s page for “lowballing” people. Yet he’s inflating Lesnar to 6’3” in essence by saying he can claim 6’3”. Anyone can claim what they want but in reality, he acknowledged he may dip to 6’1.75 like others have so he’s closer to 6’1” than he is 6’3” at that stage. Yet Sotiris claims a celeb is an inch or two less than listed and he’s rocked for it. So people really have no room to critique or ridicule Sotiris being he’s inflating him and openly admitted he lies about his own height. To each its own but at that stage being we are on a height related site, it’s best not to attack someone that way when he’s clearly just as guilty of doing the opposite of what he’s saying Sotiris does. @Maa: to his defense “some” guys lie as well so some men and women wouldn’t tell he’s sub 5’9” at a low claiming 5’10”. But it’s a lie because he knows his height and claims that deliberately. I don’t look at what the other liars do either. I look at what the honest person would do. I don’t see the personal gain lying about your height though. Doesn’t change who you are. You are not a super villain, you are just insecure about your self. You are really average height, most men are your same height and will notice your fake claim for sure. People will realise that you are a liar and will probably judge you as a person with low self confidence that try to magnify things. @Canson Exactly. I think some people struggle to separate this site and real life. Okay I know Brock isn't actually the full 6'3", he probably is 6'1 3/4" by the end of the day if the 6'2 1/4" measurement was in the morning. I only claim 5'10" because it sounds a lot better than 5'9" and most people don't notice anyway. I never even get asked my height in the first place. In shoes I'm for sure over 5'9" so saying 5'10" isn't even that bad anyway. Relax guys, it's just height. Like I said, you can claim whatever you want, and it doesn't necessarily make you an evil or bad person. And I get that a lot of celebs lie about their height. But all I'm saying is don't pretend that claiming 5'10" at 5'8.75" isn't lying, because it is. If you wanna lie about your height, fine, but at least admit that it's a lie instead of making excuses. Does lying about your height make you look like a super villain? I am 100% positive that being barely 1 inch away from 5'10" and saying you are 5'10" isn't that bad. Who can notice a 1 inch gap? lol. You realize that 99.99% of celebrities lie about their height. Rock claiming 6'5", Kevin Hart claiming 5'5", and Floyd claiming 5'8", does it all the sudden make them bad people? During some ice bath conversation between Kevin Hart and Floyd, Floyd joked "How do you look taller than me?" and Kevin told him because he was sitting up straighter than he was, and Kevin asked how tall Floyd Mayweather was and he responded "5'8"" and he said, "You ain't no damn 5'8"! They announced you and Five-Six and half!". Rawdshaq lol then I can theoretically claim 6’0 if I’m 5’10 then. Gotta confuse the stadiometre, right babe? If you admit that it's closer to 6'2", then why do you still have him at 6'3"? At this point I'm convinced that the only reason you're giving him 6'3" is to justify your false 5'10" claim. I'm not saying you can't because it's your own choice, but like Canson said, you damaged your credibility here. The issue here is that you're conflating someone claiming or giving an impression of a certain height with someone actually being a certain height. Brock may claim 6'3" and may give a 6'3" impression to some people, but that doesn't mean that he's 6'3" in actuality. He measured 6'2.25" at the combine so he's not any taller than 6'2.25", regardless of his "6'3 impression". And 6'2.25" is only 1/4" close to 6'2", whereas it's farther to 6'3" which would be 3/4" away. I don't know whether if you're not understanding this, or being disingenous on purpose to try to justify your 5'10" claim. Yeah, it's one thing if he wakes up at a full 5'10" but he doesn't even wake up that tall. I've never claimed anything higher than my morning height which was 6'6". You've mentioned that you never claimed taller than 6'5" either. @Rawdshaq In public of course he wouldn't be questioned since he's a lot bigger than the average person and would be in footwear. On here though it's a different story since it's a site based around height so everyone is judging to the nearest fraction and barefoot. In this case he is closer to 6'2 as others have said, but you're right that 3/4 inch isn't a lot which is why he just claims 6'3 and a lot of people outside of here probably would aswell. @Christian: I guess he can claim whatever he wants but that last statement significantly damages his own credibility when he just openly admitted that he lies about his height like he did. It is closer to 6'2", but it's also only 3/4 of an inch away from 6'3". Who is gonna notice a 3/4 inch difference? That 6'3" mark is sweet and if I was exactly 6ft 2 and a quarter then I would say I'm 6'3". I'm sure some 6'2" guys claim 6'4", lol. It's just 2 inches so really nobody can notice. I've reached the height of "5'10"" since I was about 20 or 21 and I've never had anybody question my height ever. I've never been called short, either. Height conversations never happen in public, unless there is a dude who is 7 feet tall lol. If you start arguing about it it makes you look like an idiot. You are forgetting that height, is just simply height. It's how tall you are. It's not a big deal. Of course, the perception of a real 5'10" is distorted due to all the inflating, so usually people won't question your claim. But someone who's honest about height or height aware will call you out. People not questioning your claim shouldn't be a reason to lie about your height. As for Lesnar being 6'3", you're completely wrong. 6'2.25" is mathmatically closer to 6'2" as I said. It's only 1/4 of an inch away from 6'2". I don't know why you're being disingenuous about it. Nobody is gonna look at me and be like "wait hold on you're not 5'10"!!!" if I ever get asked and I never ever get asked anyway. The rare times I was speaking with my friends or my wife about it and I say I'm 5'10" they don't question it. @Canson Hello? 6'2.25 is 3/4 of an inch away from 6'3". its super close. I'm sure most guys in that exact height region claim 6'3". im 5'8 3/4" and hell i claim 5'10" sometimes. 6’1. If he’s really 6’2.5 you’d think wwe would bill him at 6’5 like they do with most guys that height..especially since he’s big.. I think Goldberg was more the 6’2.25” guy back in the day, Lesnar was 6’2” flat. Lensar is about 6’1.75” today, while Goldberg is 6’1” today. At that stage, that's called exaggerating or inflating. Rounding up 5'8.75" to 5'10" isn't just a simple round up, that's lying. And what do you mean that he's "pretty close" to 6'3"? If he measured 6'2.25", then that means he's "pretty close" to 6'2", not 6'3". Jeez. No NFL player gets measured in shoes, at least not to my knowledge. Maybe some football leagues outside the NFL do, but I'm not sure. We still have no evidence he was measured at 6-2. @Christian: yup that’s how things work around here. It’s funny that he is nowhere near 6’3” yet people ridicule Viper for calling him 6’1”. Viper could probably post some pics to where he may look it and still the pics would be defective or some excuses would be made. In reality, if the 6’2.25 is his actual combine measurement he is closer to 6’1” for a good part of the day than 6’3” being he would likely only be 6’1.75 max 6’1 7/8. I wouldn’t rule out something like 6’1 5/8 even. I still think 6’1.75 is ok for him but I would say that I see 6’1” range more than 6’3”. Essentially he’s a 6’2”ish guy in my opinion. And You’ve said it many times with regards to how a person measures lol. If they measured 6’2.25, then they can’t be taller than that. You should coin that phrase lol because it’s something that is so relevant here on this site and is so straightforward that most people don’t even realize it. But oh of course the “well he may have grown since the measurement” or “did he measure at night” for someone like Kobe Bryant, and now 6’2.25 being rounded up to 6’3? The normal excuses when someone doesn’t measure how people would like to see them or envision them being. i mean if we’re talking about someone measuring at night then it is far more accurate gauge than they height they measure in the morning since it’s the height they measure the majority of the day. But People don’t even use it correctly. I see several people say a night height is much lower than an afternoon height which is not true. I remain the same height under normal activity after I’ve been awake for about 8 hours or so unless I’ve been on my feet for a couple hours straight or unless I recline and gain some back. I’ve even reached a normal low after 5-6 hours like Rob said he does if I’ve been on my feet consistently and active for 5-6 hours. You're absolutely correct. Viper gets heat by posters for estimating Lesnar at 6'1" but those same posters say nothing to all those who estimated him at 6'3". So now the excuse is gonna be that Lesnar should be rounded up to 6'3"? Btw, 6'2 1/4" is closer to 6'2" than 6'3" so it's not even mathmatically accurate to round it up to 6'3". You're right about some NBA measurements being jacked up. Some measurements have a 2 inch disparity or even more between shoes and barefoot, so obviously either they were errors or the players wore lifts, since no basketball shoes give 2+ inches of height. At this point I'm willing to pay money to see this mysterious 6-2 measurement. Hell people can't even agree on what it was!! so by the end of the day he probably would be in the 6'2 even region. Still no evidence of 6-2.25. @Christian: I agree with you. While I think he’s near 6’2 perhaps I would take Viper’s word of 6’1” or 6’1” range over 6’3” as he has the posters who have people who’ve claimed to meet him that say he’s 6’1” range and not to mention he’s been billed 6’3” and claims 6’3” which means he isn’t that tall most likely. He was also measured 6’2.25 supposedly so that means he’s not more and likely is less than that in reality. People don’t seem to understand that someone is not going to be taller than their combine measurement especially with it being early morning. Most guys don’t grow especially at the age they would be for the NFL draft since it’s mandated time in college before entering. Even the NBA measurements while some may gain if they declare after freshman year it’s not by as much as people suspect. The NBA measurements are more jacked up than NFL are so it wouldn’t surprise me if some of the guys who grow are only to what they would be suspected as previously meaning their pre draft height minus half inch for the early measurement or at best what their pre draft states it it was correct all along. I’ve seen them measure and some of them don’t touch the tops of peoples heads. I proved that they aren’t as accurate when I posted the one with the guy from Kentucky’s 2013 team that went to the PBA and he was 6’6 at the pre Draft and 6’5 1/16 where cutoff is 6’5”. Chances are he may have been able to get to an extreme low if even that low. cbs have him listed at 6'2 but they are rounding down his official measurement was 6'2.25 but it seems to be quite hard to find now a days, I'm guessing either K1 took the measurement from his football measurement or they measured him themselfs and rounded down a little. I put that page in archive.org and nothing even shows up. Where is the evidence K1 measured him. He looks shorter than 6-2 Rock and 6-1 with 6-0 Cena. People arguing under 6'2" for Lesnar are much closer to the truth than those arguing he's 6'2.5" or 6'3" though. He was measured 6'2.25" so that means it's impossible for him to end up taller than his measurement. Lmfao I don't know why anyone would ever guess Lesnar as low as 6'1' I mean he was easily an inch if not more taller than Seth Rollins..almost 2 inches over Ambrose..
also K1 measured him at 6'2, K1 actually do measure their athletes unlike the UFC, and he looked about 2cm taller than 186cm Min Soo Kim, he also looked about about an inch taller than 6'1 Seth Rollins, looked about the same height as 6'2.5 Roman Reigns, also around the same height as 6'2(prime wrestlemania 20) Goldberg, also looked about 1 1/2 inches taller than John Cena who is 6'0 1/2, also looked very similar in height to 6'1 Colin Cowherd, looked about 2 inches shorter than 6'4 Randy Orton at Summerslam a few years back. so all the evidence proves his measurement of 6'2.25, people arguing under 6'2 are wrong but people arguing over 6'2 are also wrong, the guy is a solid 6'2 case closed. Can anyone show any evidence he measured 6-2.
he measured in at 6'2.25 and he was about 28-29 years old. Lesnar was measured 6'2.25" at NFL Combine so there's no way he's 6'3". you could argue that he is taller than 6'2 maybe 6'2.25 but he was never 6'3, also 6'2.25 is a morning measurement so he will not be that height at night more than likely 6'2 flat night height. I'm sorry raqdshaq but you can't argue with an official measurement. OKAY, apparently in UFC they don't measure their fighters (which is stupid) but instead the fighters have a choice to reveal their body measurements. They don't have to give their height or reach if they don't want to, but if they do they tell them so it can be announced during weigh-ins. I still believe Brock Lesnar is 6'3" because he doesn't seem like the type to lie and he always looks 6'3" in UFC anyway, plus on RAW he looked 6'3" next to Seth Rollins who is probably 6'2" in those boots. Show me evidence he was measured. He had a real k1 match years ago. The proof is by watching the video on YouTube. lesnar vs kim. they listed him 6’2” for k1. The dude looked 6’4” 285 when he pushed dc. He’s at least 6’1.75” still today. @viper Not possible because he was easily around an inch taller than Seth Rollins. A weak 6'2" you can argue but not a flat 6'1". @Viper he actually was measured slightly over 6'2 Canson is right it was 6'2.25 but that was probably a mid day measurement so he certainly is around 6'2 night height, is it possible he could drop to 6'1 75 night height? yes possibly but I would say it's quite rare. No proof he was ever measured. @Viper: he supposedly was measured at 6’2.25. He was never measured at 6-2. Stop saying this when there is no proof. K1 in 2007 he was listed at 6’2” 262lbs. He was 27-28 years old then and at his peak height. He’s probably 6’1 & 7/8ths today. I think the first step for understand the height of someone is stop to look at his billed height. Or look at his billed height and start from at least 2" less you guessing. again @rawfshq the UFC has been exposed plenty of times for overbilling heights, he was measured at the NFL combine and by K1 as 6'2 which are official measurements, he is 6'2 nothing less you really don't have an argument here. Dude is massive, 6’3”-6’4” for sure. Towers over the alleged 6’5” Roman Reigns who’s less than 6’1”! the two most legit organisations to measure and list Lesnar were the NFL and K1 both officially measured and listed him at 6'2. I think Brock Lesnar is 6' 3" legit because most organizations besides WWE lists him as 6' 3" and in his fight with Mark Hunt he was listed as 6' 4" although I think he is just 6' 3". ANYTHING LESS THAN 6'2" IS ALMOST CERTAINLY IMPOSSIBLE . Good point. I think the reason is because the UFC's regulations were more lenient back then compared to nowadays. Off topic, Shouldn’t Lesnars mma record be 5-2-2 instead of 5-3-1? If they are calling his win against mark hunt a wash because he tested positive, shouldn’t lesnars loss against overeem be a wash also because overeem tested positive? @juggernaut Because the majority want to be taller so they don't mind being guessed higher. It's not normally seen as a bad thing especially with athletes and even more so with wrestlers because they're meant to be portrayed as being larger than life. @JamesB and Juggernaut: so What’s the difference with him being listed an inch shorter than he is (provided he really is a full 6’2) versus someone else being told or listed taller than they are? It’s still inaccurate data anyway you look at it. I don’t understand why he “should be pissed” anymore than someone else who is inaccurately listed in the opposite direction when they claim their actual height. He knows whether or it’s right or wrong. Obviously his 6’3” claim is far from accurate (yet I don’t see anyone saying he should be pissed about that) since he supposedly measured 6’2.25. I said Lesnar would be pissed if he saw his height being guessed as low as 6'1', cos since he did claim 6'3' and supposedly measured 6'2'25 but in reality, I think Lesnar wouldn't give a ..he barely cares about others much rather their opinion lol..
Danimal and his friends saw him there...well that settles it lol. Mind you that Roman Reigns measured 6'2 5/8" at the combine, but obviously that was a morning measurement. 6'1"-ish doesn't necessarily mean flat 6'1". It can even mean upper strong 6'1" range like 6'1.5". Personally I'd have him at 6'1.75" but that visually looks pretty much no different than 6'1.5". I wouldn't put him at 6'2"+ though. I accidentally entered my email account instead of my username, sorry about that. Yeah, I did catch it before approving any comment. @Canson It's no different than someone constantly claiming another person is taller when there's enough evidence they're not. If there are small fractions involved then fair enough because they can be harder to spot so in this case 6'1.75" vs 6'2" for Lesnar. @Canson To be fair there's no evidence he's as low as 6'1" so it's obviously not going to be taken seriously. All the evidence points to him being around 6'2" so you have to go by that. You can't deny what's in front of you. @Viper: if he’s really shorter he is 6’1” range. I’ve got him at around 6’1.75 honestly. Of course in a world of fanboys your estimate is gonna get chastised. However, I’ve noticed that a lot of your estimates are, in fact, good. But that’s how it is, the unpopular estimate, (you know, the one that gives a perception of making Lesnar less of a person by saying he’s not as tall as he’s listed) is just sometimes the right one. @Canson There's not a difference between the two that's correct but I mean as opposed to the 6'1" guesses I've seen which just isn't possible if you see him with Roman Reigns. @Burn: while true if not a combine, most players are aware of what to do to measure taller and most of the time the measurements are the first or second activity after maybe drug tests. When money is on the line of course they will do what they can to measure taller. As far as what you said he can look around 6’2”. But 6’1.75 is not much different from 6’2”. You wouldn’t be able to see anything there if another guy measured 6’2 flat. That’s nothing footwear can’t offset. Lesnar is the same height as Reigns and not shorter. It's logical to assume that Lesnar measured in the morning, because most NFL players do. There are a few exceptions of course, but the majority of NFL players get measured around a half inch taller than they're actually are. That's because in society, taller is generally seen as better. It's an undeniable fact that most guys would be less offended if they're inaccurately described as an inch taller rather than an inch shorter. You've entered your email as your username, best clearing all cookies and redoing your username. Canson he looks shorter than 6-2 Rock. Danimals friends said he looked 6-1ish up close. @maa That's true you shouldn't just go by what they were measured at in the morning mainly because you don't know how much sleep they might have had. Prior activities or exercises may also have been done so that could come into it as they are athletes after all. I think 6'2" is a good shout because he looks very close in height to Roman Reigns who himself could possibly be a hair over 6'2". @Viper: I thought someone had posted that he was measured 6’2.25. Either way, he’s not anymore than 6’2”. You see a lot of conjecture and propaganda here of people wanting to make him taller. Brock is 6-1. He was never measured at 6-2. Only looked an inch taller than 6-0 Cena. Looked shorter than 6-2 Rock. Where is the evidence that Lesnar was measured in the morning? And what about if he had a workout in the morning before breakfast? Or if he slept bad ? Or if he was measured in the afternoon? You simply don't know, so stop assume that if he was measured 6 ft 2.25 he must be 6 ft 1.75. He is shorter or equal to 6 ft 2.25 in, and that's a fact, but you can't take that measurement as a fact that he is 6 ft 1.75. That' s just your hypothesis, not a prove that he is that tall. Well it is just another estimate, I've seen Brock guessed 6ft 1 to 4 on here over the years, but still would say he is somewhere in 6ft 2 range. Remember this is a guy who is taller than Chaske Spencer. Yes it does. It's a known fact that people are taller in the morning than afternoon or evening. Just ask anyone here. @Michael your height does change through out the day, you are generally 3/4 of an inch taller in the morning than your at height trust me gravity is a real thing believe it or not,this isn't a theory it's a scientific fact and was never debunked because it's not a theory to begin with. he's not so close to 6'3 he is still almost a full inch shorter than 6'3 thats like saying a 5'8 person is so close to 5'9,yes they are close to that height but that doesn't make them that height. I doubt Lesnar had a peak height. He seems the same height today as he was 10-15 years ago.